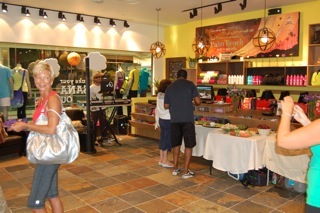 Thank you to all who attended the Native Yoga DVD Launch party. 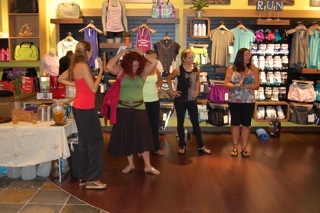 A big thank you to the team over at Lululemon for hosting the event. For those that enjoyed the delicious vegan food you can visit http://www.darbster.com for more information. We hope you enjoy the DVD!! NYC would like to thank Tim for providing a fun and informative (and challenging) workshop last weekend. Check Tim out down in Miami by visiting http://www.miamilifecenter.com. 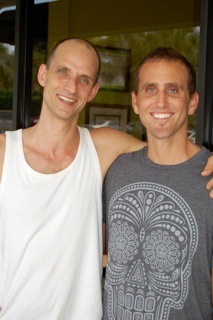 We look forward to both Tim and Kino’s return in December. Join us Sunday evening, July 25th from 7pm -9pm at the Lululemon store at the Gardens Mall in Palm Beach Gardens, Florida for the launch party of Native Yoga: The Practice DVD. We will have gourmet vegan food from Darbster and a DJ brings the tunes. 30 FREE DVD’s given away to the first to arrive. Come for yoga, music, food and fun!!! Tomorrow, Sunday July 11th is the New Moon. The studio will be closed.People often ask, why moon day? What is the significance? This tradition is maintained in the Ashtanga yoga method as taught Sri K. Pattabhi Jois in Mysore, India. The moon has a strong effect on the movement and flow of water on the planet. Since our bodies are in large part made of water it is safe to say that the moon has an effect on us. There is a transition of movement flow from one direction to another at the point of the New and Full moon. It is believed that the best way to accommodate this shift is to “take rest.” Happy Moon Day!! Special for the month of July!! This is excellent opportunity for new students to make a very inexpensive investment and receive countless benefit from yoga practice. Regular students can get an unlimited package and practice as much as you would like. The summer time in Juno Beach is the best for building Tapas. After only three days in a row of practice your entire outlook on life can improve. It is so simple…..just come to the top of your mat. The studio will be open for normal schedule on Saturday, July 3rd. On Sunday, July 4th, the 6:30 am Meditation will be cancelled. 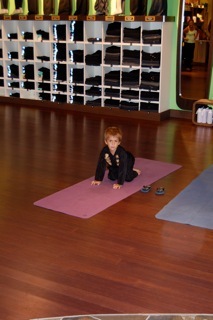 The 8am Ashtanga class will be Native Yoga with Bob. The 10:00 Native Hour class will be cancelled. Thank you so much for your support. Have a great holiday!! !